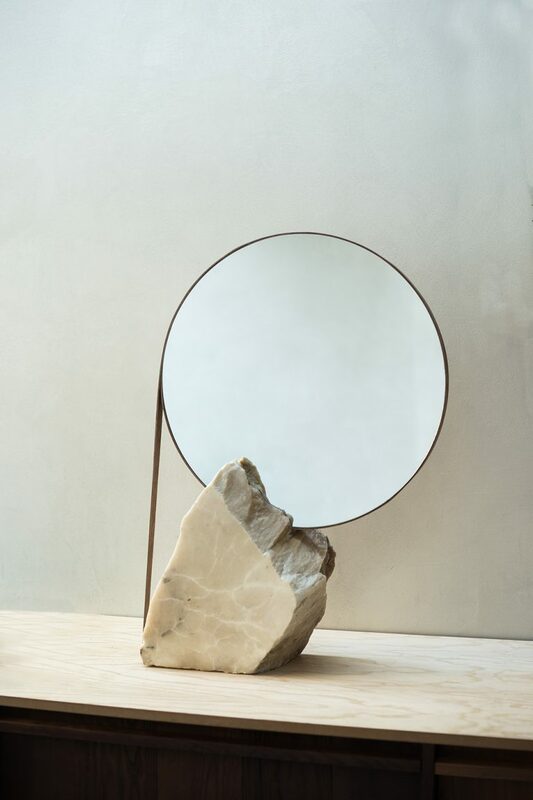 With the leather Series we are taking the idea of the perfectly round mirror working its way into the boulder a step further. 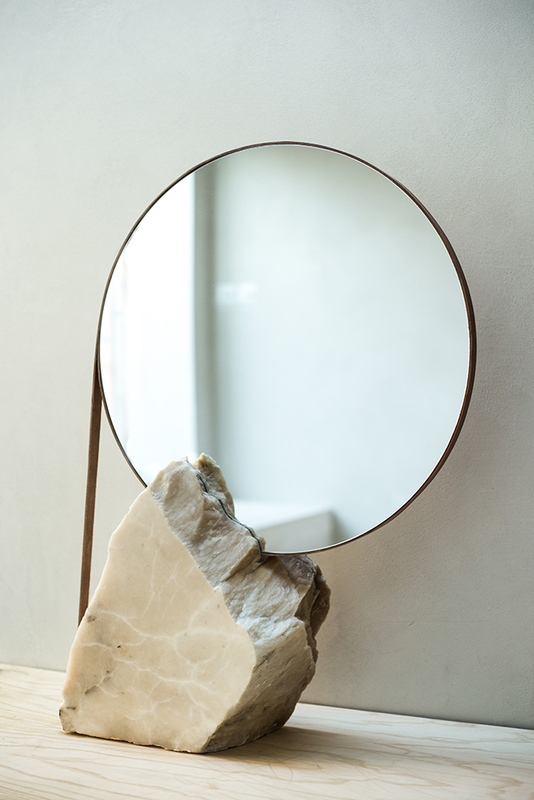 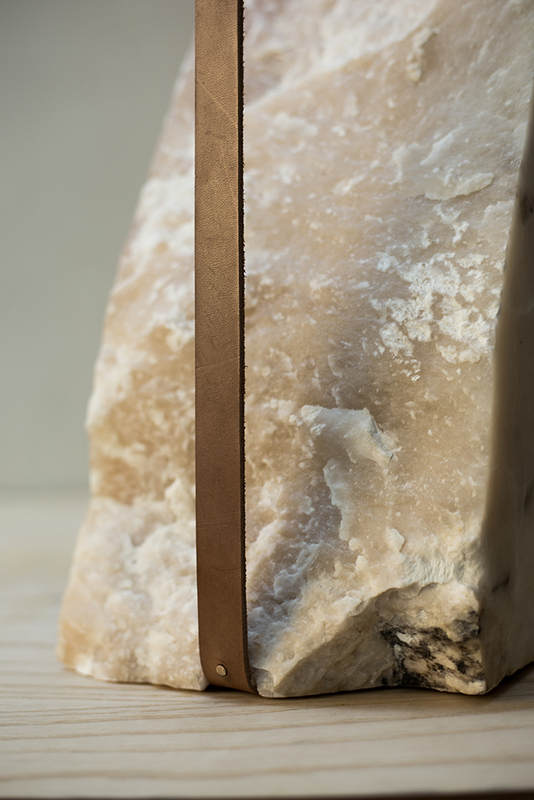 The Mirror is only held by a leather band that is attached to the stone with two small brass pins in the stone. 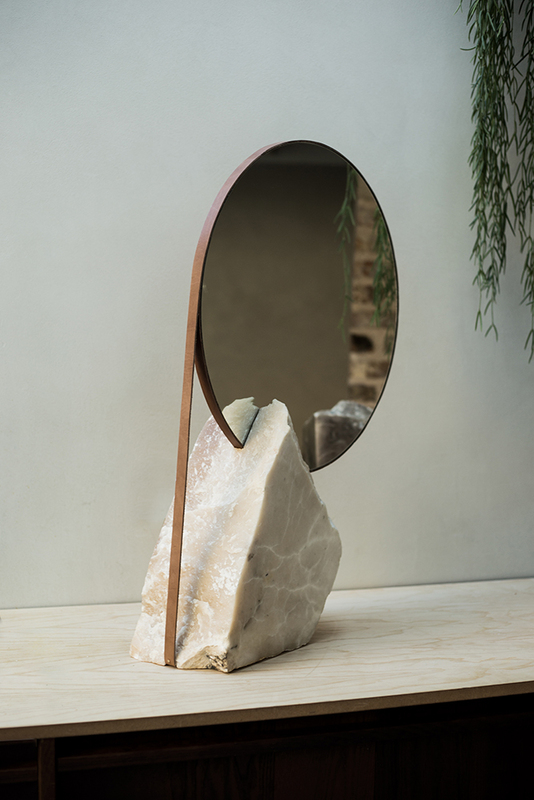 Approximate delivery time 6 weeks.